-Another Resident wanted 15 Grace Lily for another Sailor Hat. I went and accepted it as I’d like to complete every theme at least once. -Stitch broke his Surfboard and wanted a new one… Sadly, I don’t even have that unlocked yet. Which I guess he knew as he just gave me the recipe. Unfortunately, I didn’t have what is needed to make it–it involved something from helping someone and nobody has even offered me that yet..
-Donald asked me for some Barley to make new pancakes. He gave me a Quest Oar as Thanks. -Resident wanted a Fluffy Dandelion for some Milkberry Seeds. The game switches over around 5PM EST (The exact hour I heard can vary in someone’s game, but it does change at 5PM EST for me)–I’m not sure when in the morning but I’d guess 5AM to 6AM which works for me. Anyway, I mostly bought random stuff at Scrooge’s shop, but I bought 10 of the Creamy Milks and 2 of the Camels in Aladdin’s area. I was super excited to see Belle and Beast on the bridge towards the Castle. 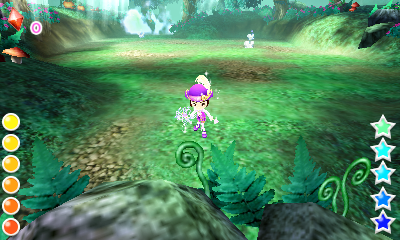 It’s so nice seeing Castleton fill up with more characters as you have parties with them. I then went and harvested and watered my crops. 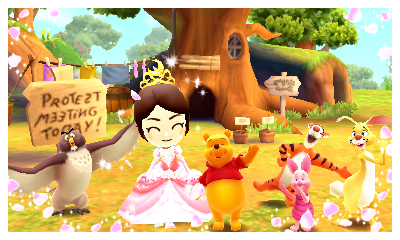 To my surrpise, Pooh wanted to take a picture with me again! 😀 😀 😀 😀 😀 BEST PICTURE. -Resident wanted a Rubber Leaf for 3 Mini-Carrot Seeds. I had 5 and haven’t planted a Mini-Carrot yet so I accepted. -Lilo wanted me to get a Hibiscus Swim Ring for Stitch… She gave me the recipe so I went to see if I could make it. To my surprise, I could! So I went ahead and did so. -Resident wanted 15 Big Logs for an Apple Lamp. I quickly accepted as I could use another Apple Lamp, I had 40 big Logs, and I need to work on the Snow White theme more. -Resident wanted 3 Cracked Bricks in exchange for 5 Creamy Chestnut Seeds. -Pete once again wanted 3 Red Paint. There was nothing really good in the shops today, but I managed to get a new card from trading. I also managed to get the last Chip and Dale card I need 😀 Yay. I then went off to Cinderella’s World to continue my quest for Moonstone Plates as I need a ridiculous amount of them for Cinderella stuff. 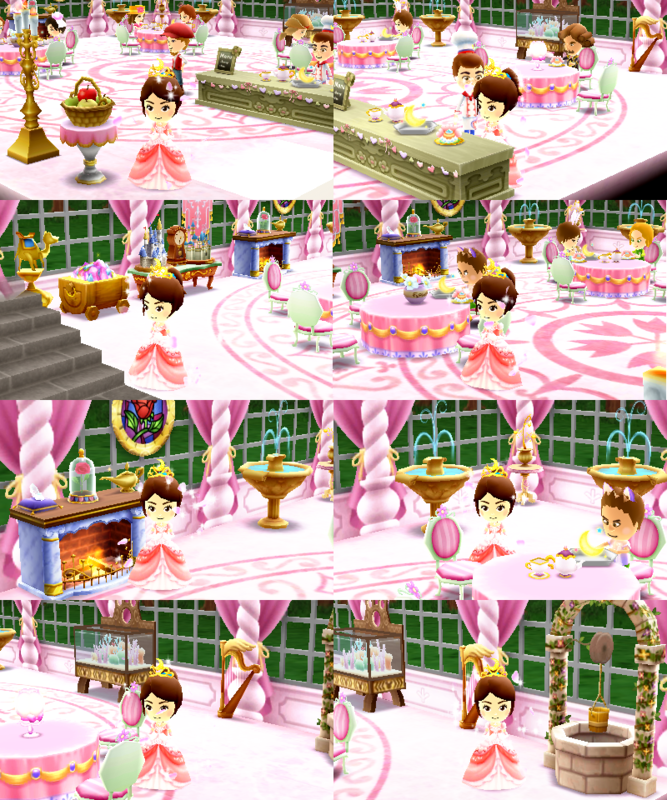 It took several tries (although, not nearly as long as when I was trying to get them for the gown), but I succeeded and had an almost perfect combo cafe for Cinderella (which means hopefully Prince Charming and the Fairy Godmother will show up)–sadly, I don’t have anything unlocked to put on tables and even though I got one from a quest, it needs 3 to count. Prince Charming! 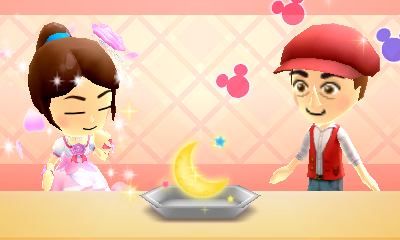 I was hoping for multiple characters, but this still works as it’s someone I haven’t taken a picture with yet! With that done and all my dishes sold out, I started making some new ones. 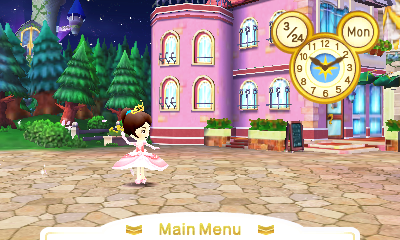 So cute T~T <3 I'm not sure what to work towards next--I'm always working towards Snow White's theme (kind of have to considering the task), but I still have so few of it unlocked and even less of the items (It needs lots of Wooden Puppets which you can only get from tasks) that it'll be a while... 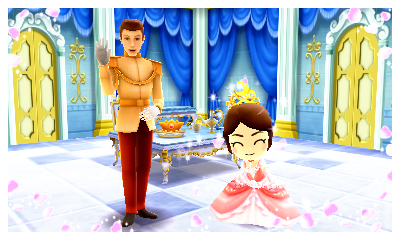 I also got another card from Prince Charming (although, an extra) which ended up being my 3rd extra so I was able to trade and get a card I needed! Which also meant I had enough for a new greeting! “Doze Off”… I wonder if that’s really what it was. 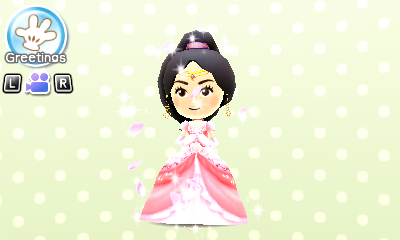 Regardless, with my better outfit and wand, I am officially ready for future Aladdin episodes. I may still need to work a bit harder for the Alice in Wonderland stuff… especially as I need to get Pete his paints. It turns out this was a good choice though as the very next Aladdin episode was fighting the boss… and it got fairly close to not ending well. 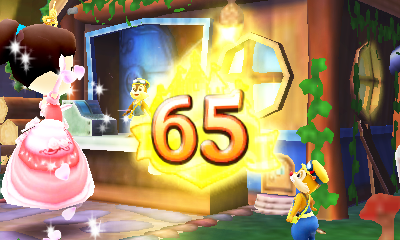 For now, I went off to see what new things I unlocked at Chip & Dale’s Workshop. 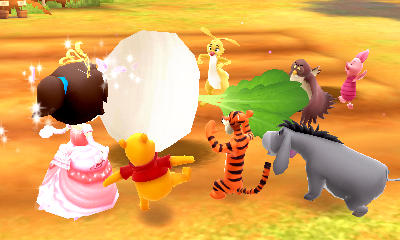 With a last visit to the cafe and 100 Acre Wood, I decided to stop for the night as I must get up early tomorrow. Hopefully I can work on more of the Episodes in Wonderland later. 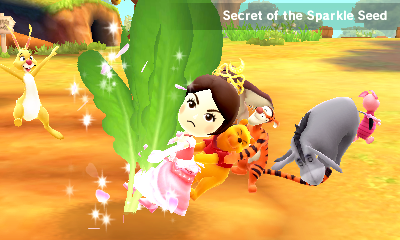 I also received a Goldstone Plate as a gift <3 I like how everyone comes over to help pull and celebrate the Big Turnip. 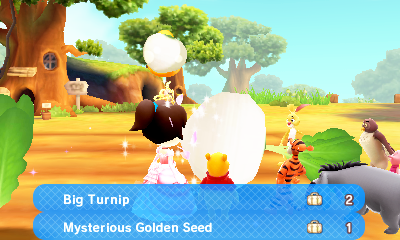 I do wonder what the Mysterious Golden Seed will end up being though… It’ll take 4 hours so I guess we’ll see tomorrow! Today, I decided to try taking it a bit slower and just focus on a few things. 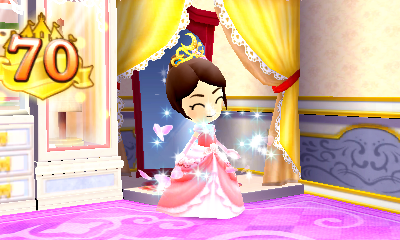 The game has a lot to do and a large amount of content–despite having more than half the total stickers already, the stickers don’t even get close to just how much there is to do if you feel like completing the game. -Resident wanted 15 Golden Sand in return for a Greek Mini Flowerpot… While you can only get the Flowerpot from helping the Residents out, I only had 13/15 Golden Sand… I might be able to get the rest, but I only have a few hours left to do so. -Pete needs more Red Paint and offered me more White Cocoaberry Seeds. 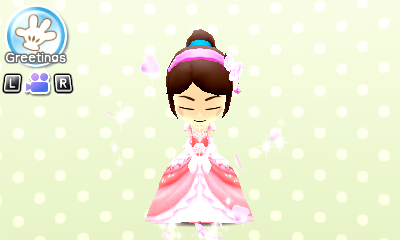 -Yen Sid wants 3 Sand of Truth in return for a Legendary Sorcerer’s Medal… I don’t have any Sand of Truth, but I already have one of the Medals… which I can’t even use yet. 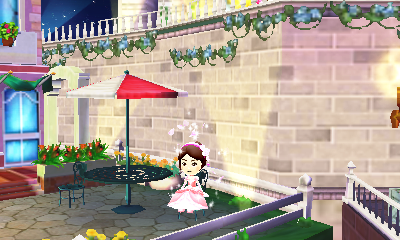 I knew the Hercules theme was expensive, but I didn’t realize just HOW expensive… The flower pot cost 88K… I ended up picking it up regardless as I know it’s going to take a good while to get everything… I so want those fountains though. 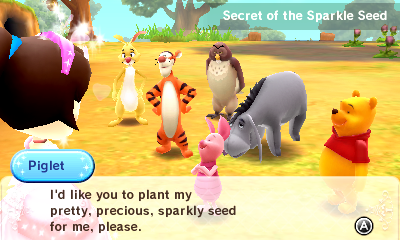 One of the things I love about 100 Acre Woods is they will help you out–a few times now I’ve come in and they’ve been watering my garden and pulling weeds and it’s just so nice. I even got a few rare seeds from harvesting today! 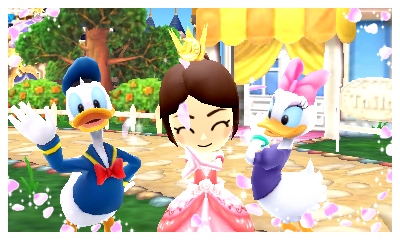 I then decided to head back to Cinderella’s World–afterall, I just need one more Amethyst Gem for whenever Donald’s fishing rod favor shows back up… I decided to give the *** Masquerade a try and to my surprise, I completed it on my first shot! Yay! 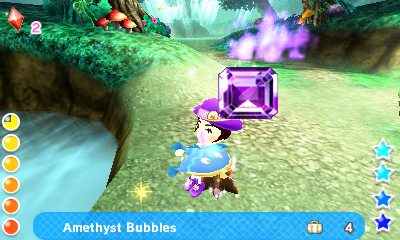 I even managed to get two Amethyst Bubbles while in a quest with a pond. Thus, I went off to the Cafe to pick up some of my earnings and make some new dishes. I still need various basic stuff so I decided to head back to some of the early episodes of Cinderella and Wonderland. 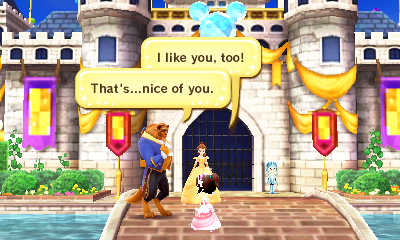 Before that though, I stopped by the Castle for a new greeting. I sadly had to stop playing for several hours so everything had flipped over by the time I picked it back up. Thankfully, this game does real time well. Nobody gets upset with you or guilt trips you because you messed up a task, nobody criticizes you, there’s no hidden friendship bars that are plummeting as we speak–everything is okay. -A Resident wanted 15 Grace Lilies in return for a Sailor Hat Lamp–I had 68 onhand so I quickly turned that in. 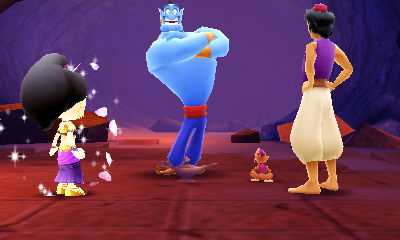 -Aladdin wants me to get a costume of Genie made for him in return for a Royal Sapphire… I’m not sure if I have the items to make it though. At least I know I have it unlocked. 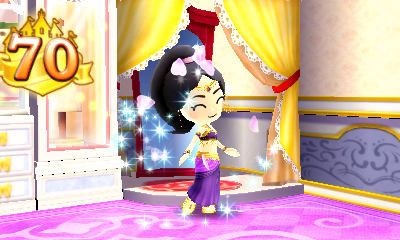 …and yeah, items are from Aladdin episodes I haven’t done yet so. -Pete wanted a Bright White Rose in return for a Bony Crystal–I had 3 so I gave him one. 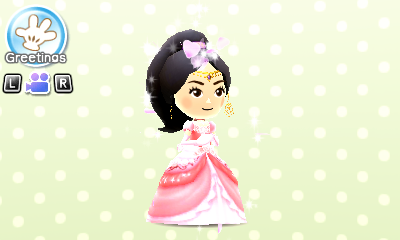 -The Resident who wanted to see a Western Outfit showed back up… Sadly, I only have one unlocked and I don’t have any of the things to make it. I might get lucky and get one from Cafe visiting though. 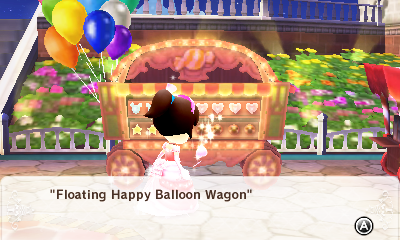 I wish I could have one of those balloons… As far as I can tell, there aren’t any hand items other than the wands when you are in a “Dungeon” Episode. I kind of feel this is a missed opportunity–I’d love to be able to run around with a balloon or like one of the UniBEARsity dolls in my room. Or maybe even just carry some of the items I found. Anyway, I decided to go to Aladdin’s World for a bit–it’s the one I have the least done and I really need to get it up as many things require stuff from here. Unfortunately, my first go involved me being defeated and failing 🙁 Thankfully (and something I honestly didn’t expect), I actually got to keep most of what I earned so far. 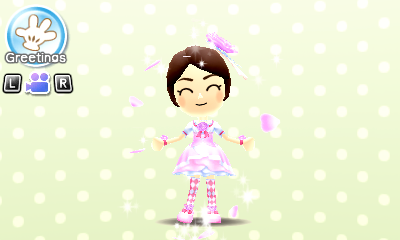 I ran back to see if I could make a better quest outfit yet and surprisingly, I did finally have enough so I did. Yay! Unfortunately, I didn’t for a better wand. While there, I stopped by the Cafe and held a party. 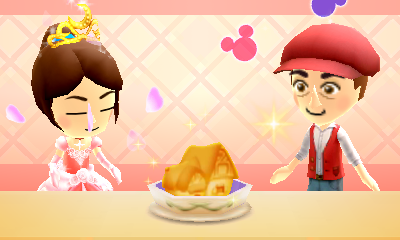 Belle and the Beast showed up! I also received my 63rd sticker for getting a picture with Beast! 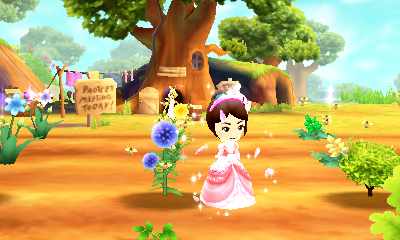 It was then off to replant things in the garden and while there, I decided to start the next story part. Unfortunately, I still have no luck when it comes to trying to get specific items… but I don’t think I should try anything harder until I get better gear. 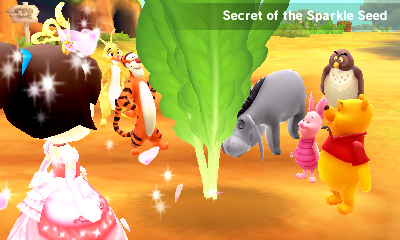 I stopped back to make a better wand (now that I finally could), but also realized Piglet’s seed should be ready now. With a group effort, we got it out of the ground! 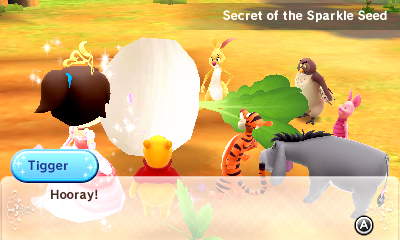 Before heading back to Aladdin’s area to try a few more of the earlier episodes, I decided to do the next two episodes in the 100 Acre Woods as they tend to go quickly. With those done, it seems I have completed all the episodes there. T~T At least I can always replay them. 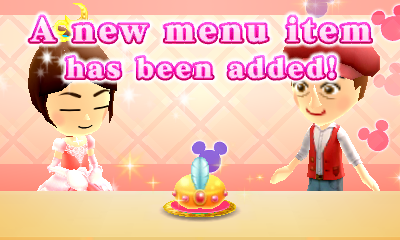 On my way to Yen Sid to make my wand, I stopped by the cafe to make some new food to serve and decorate my room. I even had a new present for me–Naptime Herbs. 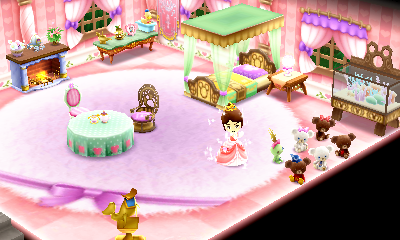 I’m more or less happy with it–I want to get a pink table and move that table somewhere else in the room (Possibly next to the camel statue). I know I really want a fountain… And if there’s a Piano besides the Snow White one (if not, I’ll use that one), it’ll be going to the left of the Fire Place. I also really hope there’s a pink canopy bed that I can use instead. But yeah, I expect to have more trinkets and stuff in. 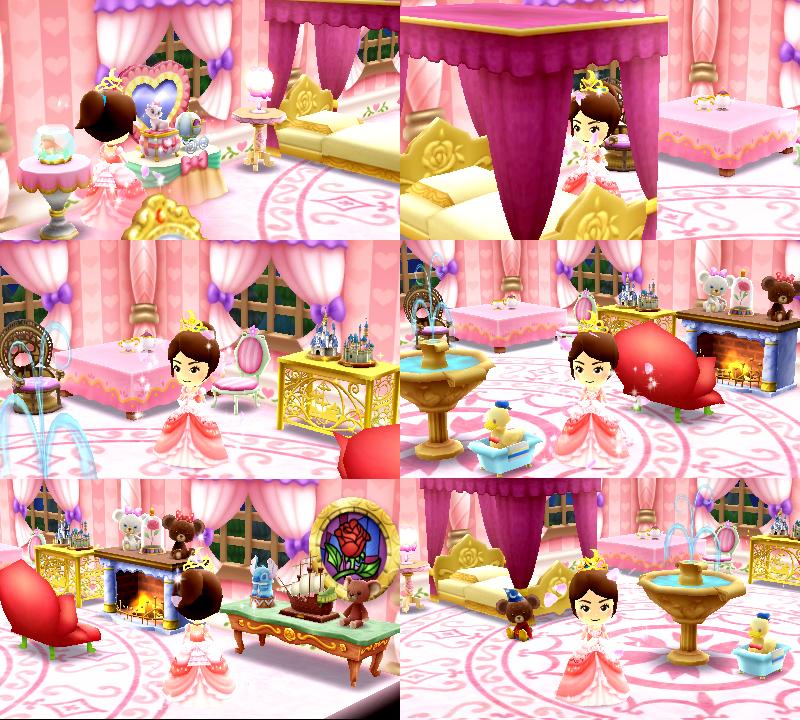 I’ll have a hard time choosing between the wallpaper I am using and the one that comes with Marie’s DLC pack (if that comes over–I hope it does) though… I’m not too happy with the flooring, but I haven’t seen one I think will fit better (or that I really adore regardless) yet. 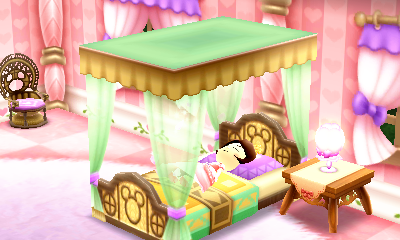 While I’d have liked to play more to more Broken Lamps and the Dancer’s Cloth, Aladdin’s Episodes tend to take a bit and I knew I had to head to sleep I received the game early from Nintendo! 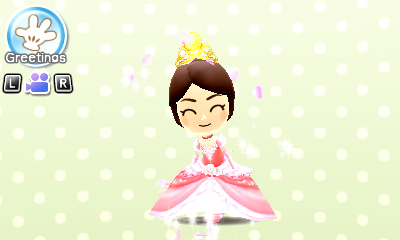 Thank you, Nintendo! 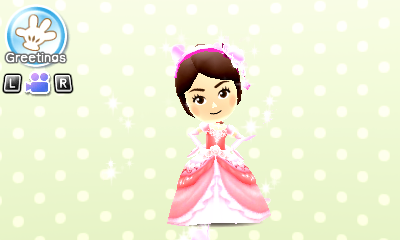 Favorite Princess Dress: Aurora's Pink Dress and Belle's Winter Dress. 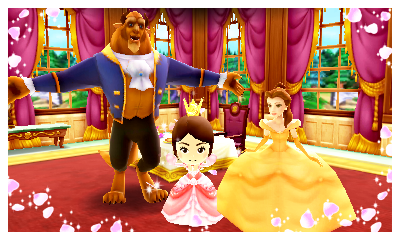 Favorite Castle(s): Aurora's and the Beast's.